The America’s Cup is ultimately a challenge between yacht clubs. 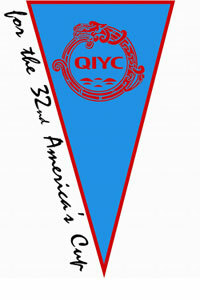 The Qingdao International Yacht Club has been participating in its very first America’s Cup adventure 2004-7. Behind the club is a dynamic and evolving nation – thousands of years old - that is getting behind the campaign to win the world’s oldest sporting trophy. The Qingdao yacht-club is located in Fu’shan Bay and and led by Commodore Dong Tong Kuan. The club has organised a series of match races and sailing events in order to be ready not only for the 32nd America’s Cup, but also the Olympic Games. Through these two, separate and international yachting events, Qingdao will be introducing 1.3 billion people to the world of sailing and water sports. Qingdao is a modern and progressive city that took the first Chinese America’s Cup challenge to the world.